Tone/Patina will vary from knife to knife, SOMETIMES DRASTICALLY. These change even when touched. Scales received will likely look different. 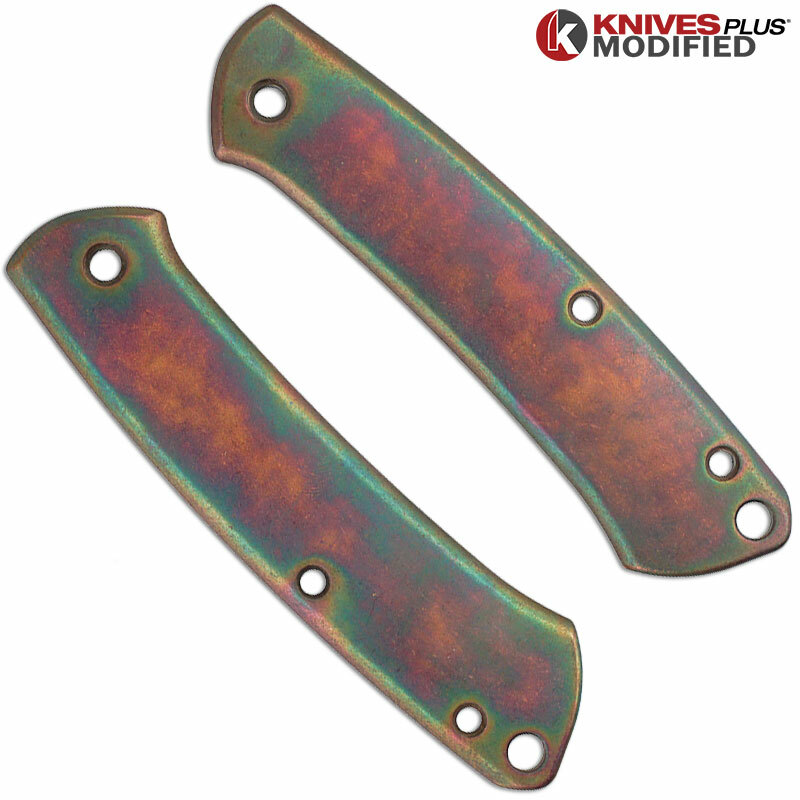 The KP-360 MODIFIED Flytanium Copper Scales are milled precisely for replacement of the factory scales of the popular Benchmade Proper gent's knife. 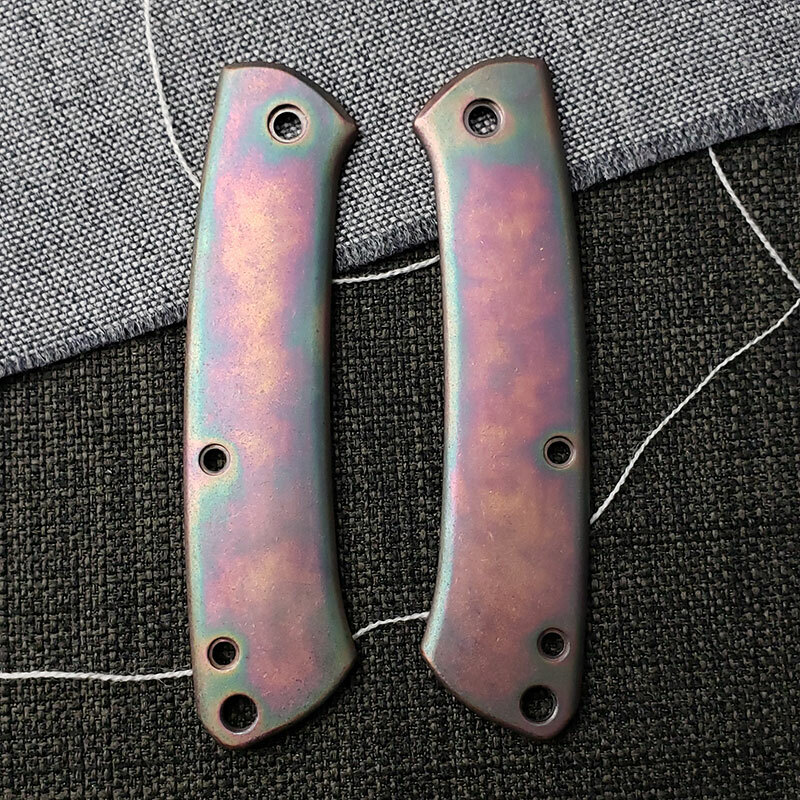 These high quality solid copper custom scales have an eyecatching FORCED PATINA finish that will CHANGE over time for unique personalization of your favorite everyday carry. 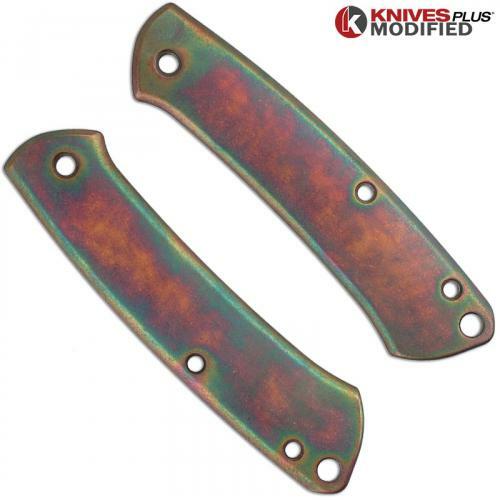 The MODIFIED Benchmade Proper Knife with Flytanium copper replacement scales installed weighs roughly 2.5 ounces more than the standard Proper model. Made in China. Scales only; uses existing hardware from the Benchmade Proper Knife. Installation of the scales requires some basic tools and knowledge. There are many small parts and pieces on the Benchmade Proper - disassemble at your own risk. Please Note: Benchmade's Warranty does not cover disassembly of any knife by any person other than Benchmade's Warranty department.